Abigail Hammett was born in South Wales and began studying the violin at the age of nine. She has recently completed her Masters at the Royal Northern College of Music where she studied with Levon Chilingirian and Benedict Holland. Before commencing her studies at the RNCM, Abigail studied the violin with Harry Cawood for seven years. During this time she competed in many competitions, winning numerous gold and silver medals in the National and Urdd Eisteddfods, Rotary Young Musician and the Swansea Festival String competition. During her time at the RNCM Abigail was recipient of the Leverhulme String Scholarship and has participated in master classes with renowned musicians such as Henning Kraggerud, James Ehnes and Elena Urioste. Over the past six years Abigail has received summer tuition from the world-famous violinist Alexander Markov. 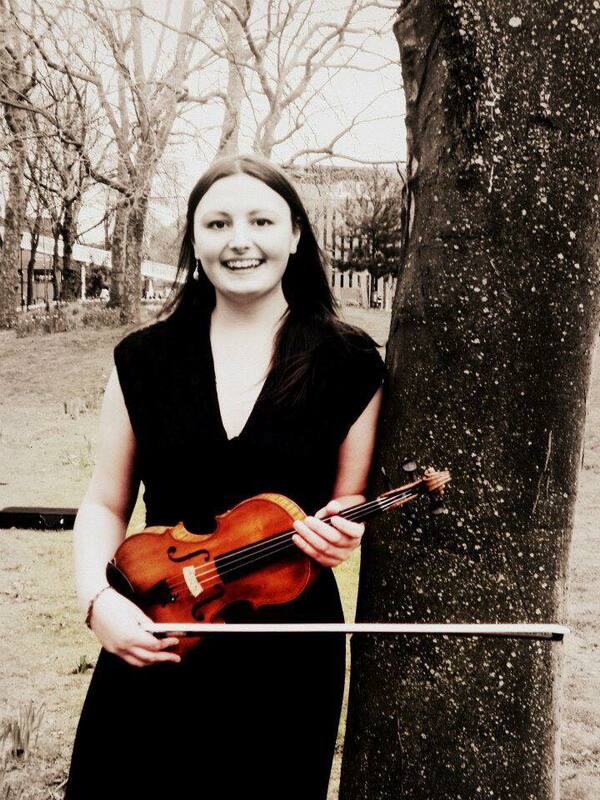 Abigail is a dedicated chamber musician and is a founding member of the Manchester based Gaskell String Quartet. In 2016 they were winners of the RNCM Hirsch Prize and Schubert Prize and performed live on ‘In tune’ on Radio 3. They have given numerous recitals including a collaboration with guitarist Carlos Bonell in Jersey in 2017. Future engagements include playing works by Turnage in Wigmore Hall in May 2018 and performing in the final of the Cavatina String Quartet Competition in London. They have received a wealth of tuition from members of the Elias Quartet, Pavel Fischer, Petr Prauss, Johanness Meissl and Miguel de Silva. As a freelance musician Abigail has played with Sinfonia Cymru, Sinfonia Viva and has recently been on tour to Italy with Raucous Rossini and the New Generation Festival. In February 2018 she became a member of the Pro Youth Philharmonia and will be on tour with this orchestra in April 2018. Abigail plays on an instrument made by Francesco Emiliani in Rome in 1715. She is very grateful to the Tompkins Tate Musical Trust for loaning her this instrument.